Welcome to HUMANBEATBOX.com, the voice of the beatbox community! Before we dig into who we are and what we do, let's take a brief look into our history. HUMAN BEATBOX has been the #1 resource for beatboxers since 2001. A-Plus started an online forum where old-school, middle-school, and new-school beatboxers gathered to network and learn new techniques all prior to the social media boom. Beatboxers from all over the world posted articles, asked questions, organized meetups, and it was the greatest contributor to the growth of the scene. The website began to grow into being a huge resource thanks to Tyte’s articles and tutorials which then pulled in over 100,000 unique readers per month. 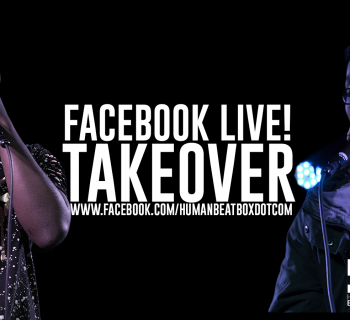 HUMAN BEATBOX will continue to serve as the central platform for beatboxers to learn, network, and continue to push themselves as artists. Fast forward to 2016 - Tyte decided that it was time to move on and passed the baton. You might’ve noticed already, but the website has come a long way! We’re excited to show you what we have planned. The written content that will be produced through HUMAN BEATBOX will be credible, educational, and informative content for the beatbox community. This includes the posts and analyses produced by our teams. In partnership with all the major beatbox YouTube channels, we will provide a central platform to discover new and fresh video content from all over the global beatbox community. We will also create video content that will not only focus on our battling community, but our fellow beatboxers beyond. We won’t be afraid to push our creative boundaries. 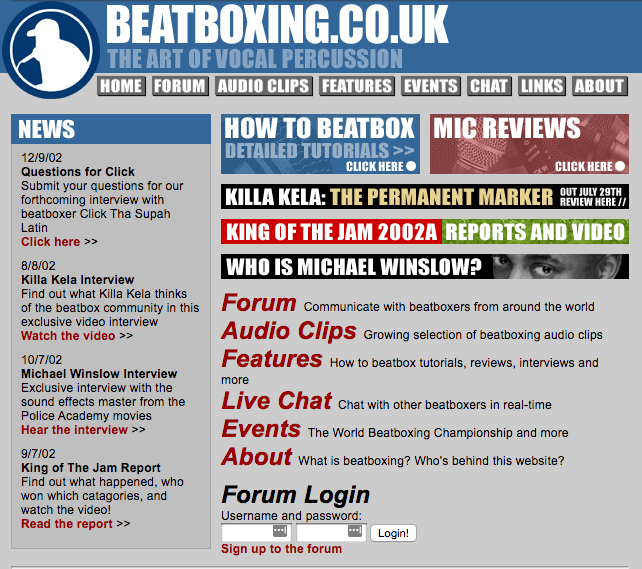 We are excited to reintroduce the HUMAN BEATBOX forums, which will provide a platform for beatboxers to network, engage in informative discussion, provide and receive tips, hang out, and much more. 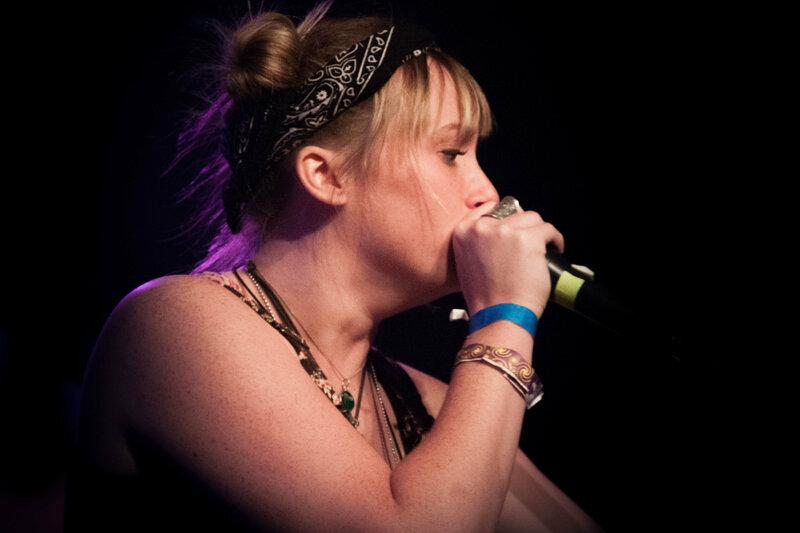 We'll be the hub for beatbox battles around the world -- but that doesn't mean we'll stop there! 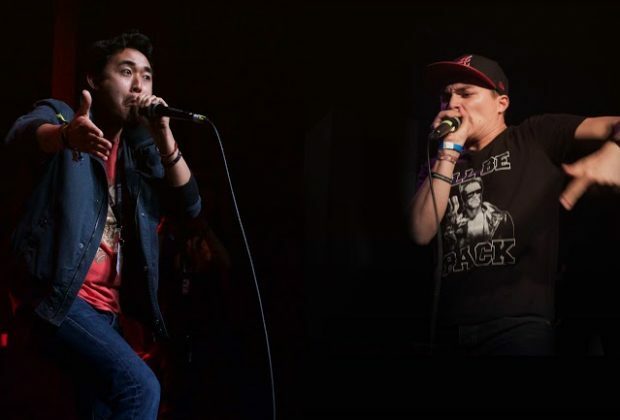 We will also be including performances outside of beatbox battles, like as acappella shows, jams, and much more. How can I be a part of the new launch? Spread and share the word! Let us know if you want to be a contributing writer!